Wouldn't it be amazing to hold a world record? You'd be able to officially say you were better at something than every single person in the entire world. Talk about the ultimate bragging rights! You'd get yourself a fancy plaque to proudly display in your home for all to see, and it’d be a success story you could share with friends and family for years to come. Did you know that some of these world record holders owe their achievement to Tetris? It's true, Tetris is behind many a world record, and you might be surprised at how everyone's favorite puzzle game plays into these crowning moments. As a matter of fact, after learning about how some of these records were gained, you may start to believe you could grab one for yourself! 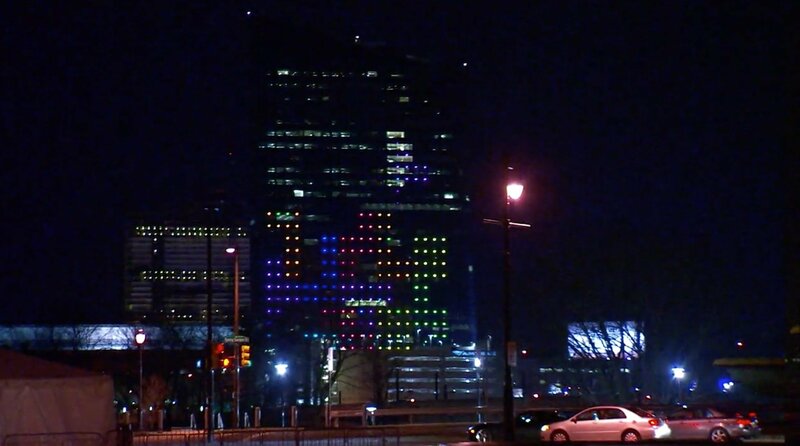 The largest architectural video game display in the world was played on the side of a skyscraper in Philadelphia, PA! While you might have played Tetris on a big-screen TV, there's one person who's definitely got everyone trumped. The Guinness World Record for largest architectural video game display goes to Dr. Frank Lee, who created a full Tetris art installation on the side of a building. This let him play a Tetris game 29 stories high. An entire building turned into a real-life Tetris game, with each story acting as one line in the Tetris Matrix. Talk about a sight to behold! Tetris holds the record for most ported game. You can play Tetris on many different devices. 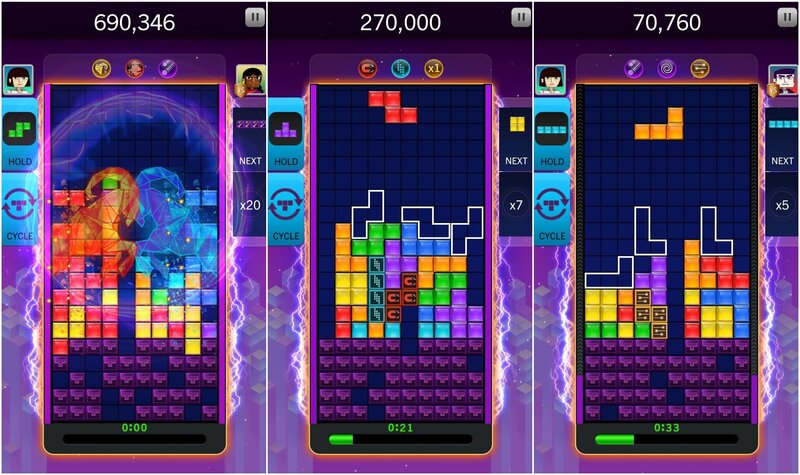 From gaming platforms to computers, cell phones to tablets, Tetris is always ready for you to give it a go. Turns out the readily available nature of Tetris is a record in and of itself! Tetris grabbed a Guinness World Record back in 2010 for the most ported video game, having appeared on 65 platforms! As you've probably guessed, the total supported platforms keeps climbing as the years go on. 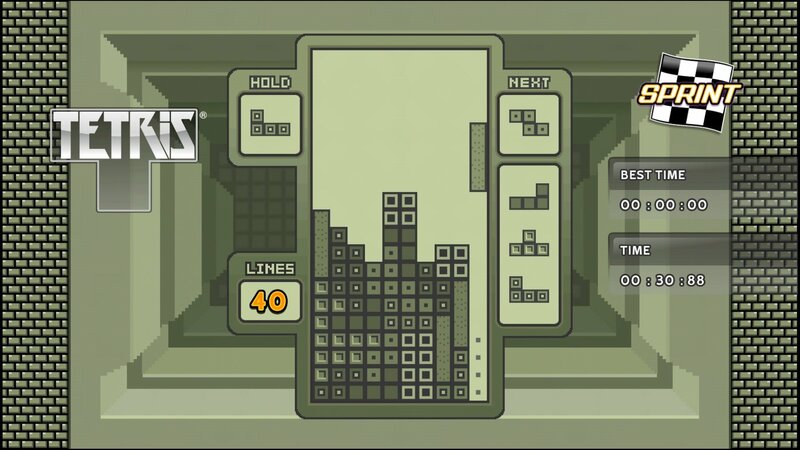 Simply put, there will never be another game to top Tetris! There’s even a record for number of somersaults performed while listening to the Tetris theme! Sometimes all it takes to grab yourself a world record is a bit of outside-the-box thinking. Do you know how many forward somersaults you've done while listening to the Tetris theme? We would put our total squarely at zero, but Simon Perkins managed to pull off 24 in a row. Yes, he now holds the world record from RecordSetter for most somersaults over a bed in one minute while listening to the Tetris theme. It goes to show how anyone out there could be a Tetris record holder. All you need to do is come up with something wacky enough! There are many more Tetris records out there waiting to be set and broken. Obviously some of them could take years of dedication and tons of hard work. Others are simple, silly, and anyone can pull them off. For those of you who decide to try and tackle a Tetris world record, or set a new one for something fans haven't even dreamed of yet, we wish you the best of luck! Is there a world record for playing the most free Tetris on Tetris.com? You better get started right now and find out!